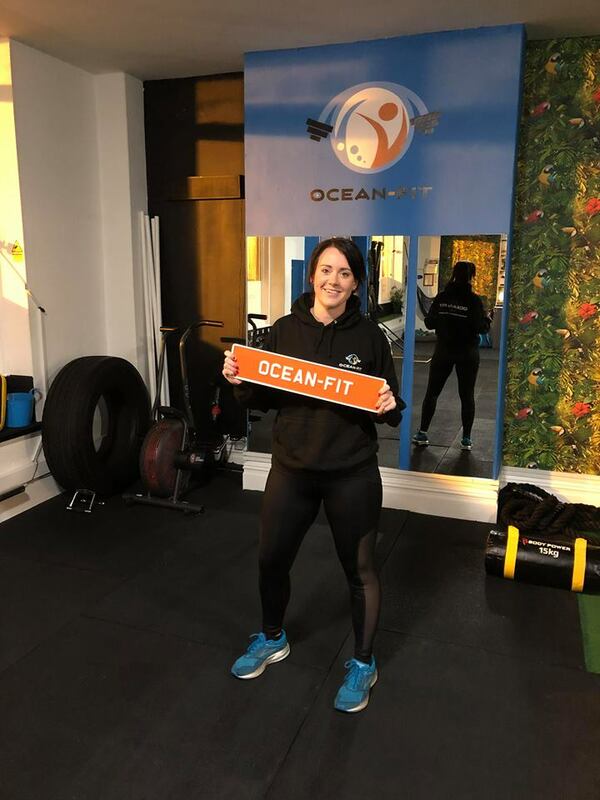 She’s been loitering around Ocean Fit now for well over a year and we thought it was about time she got a bit of recognition! 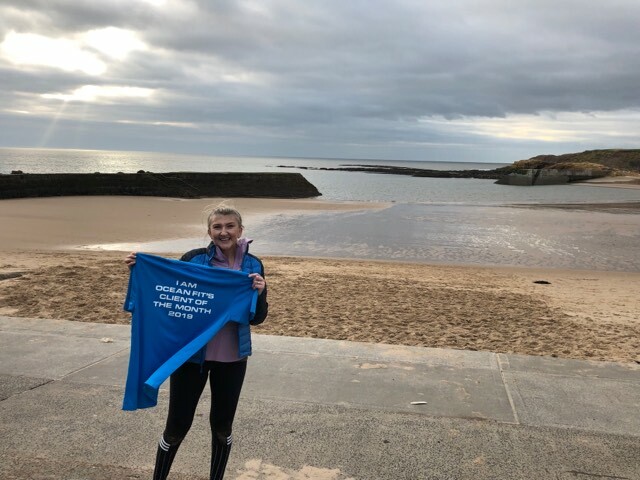 Katie started with us back in October 2017 with our Beach Camp Team. When she was there she was amazing, but found it hard to be consistent with some of the colder mornings. She didn’t use this an an excuse, this time last year we did a burst of 121 training as Katie was feeling a little disheartened that she couldn’t pull herself round to make the most of the sessions. This kept Katie on track until the end of the summer when the mornings got cooler. Katie decided to transfer to our Indoor Fit Camp and has been 100% HEAD IN THE GAME ever since. She always comes in with a huge smile ready for every session and would never say no to challenge. She even brought her own personal fan to our Christmas Charity Fit Camp. (unlike myself who naturally has loads) Jokes. 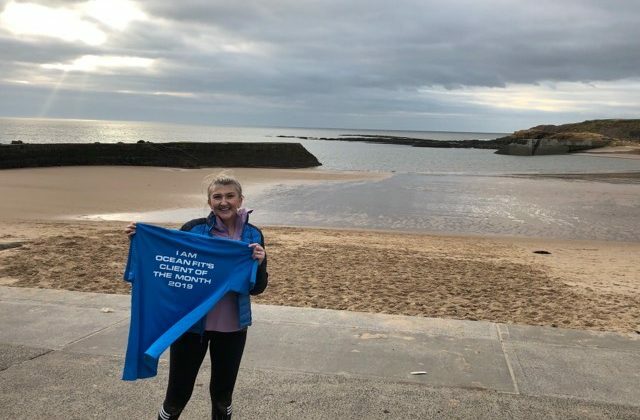 Check out Katies story below! 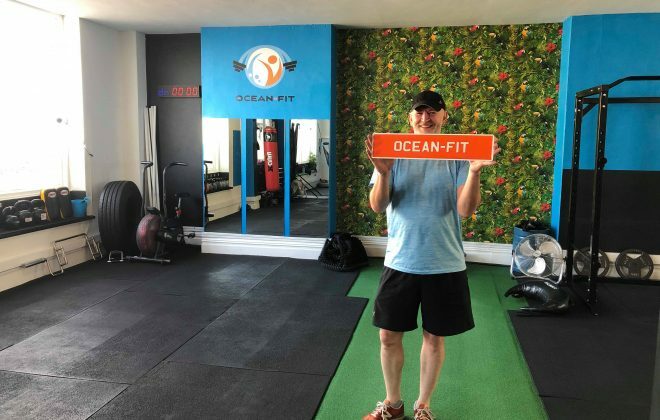 When did you Start and why? 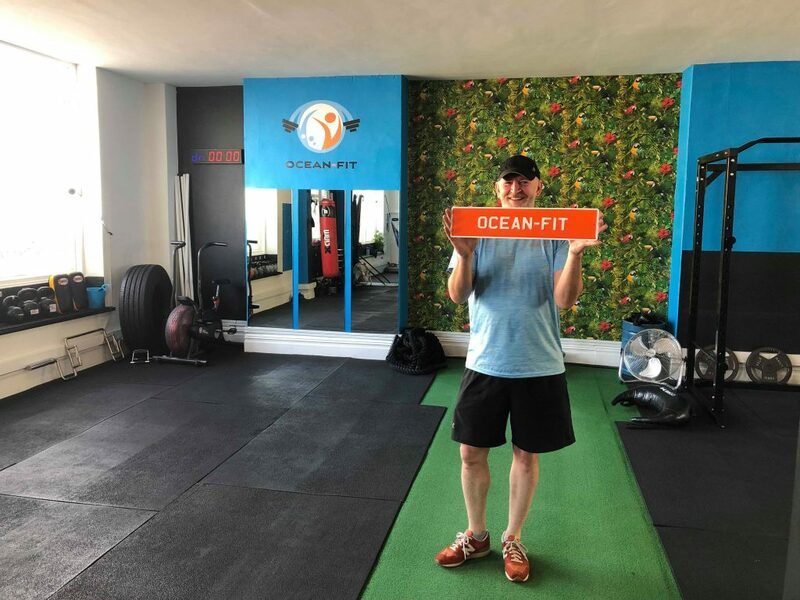 I started Ocean Fit in October 2017, I needed help to get back into a routine of keeping myself fit so I signed up for a free trial and haven’t looked back since, ok not totally true I mean I have skived sessions now and again but Aaron doesn’t let me get away with it there’s no hiding. What do you enjoy the most over all about taking part? I love the fact that everyone involved in Ocean is so supportive not one person is the same but everyone genuinely just clicks with each other and cheer each other on and want the best for each other. The sessions are always different, I love that you never know what you are walking into but each session is always well planned, both Aaron and Brianne know how to motivate each member as an individual, for me Aaron picked up on the fact I’m a little competitive and uses that as a positive way of encouraging me to push myself. The sessions are easily adapted to suit the needs as an individual as well so nobody is left out. My biggest achievement is feeling comfortable with myself. I always assumed you had to be super skinny to feel good about yourself and I’ve come to realise it’s not the case ‘strong is the new skinny’ weight is just a number and confidence makes a massive difference to your wellbeing. What is your favourite exercise or move & why? I love working with kettlebells as I feel I am doing both strength and cardio training. I’m also one of these weirdos that doesn’t mind Burpees. What is your LEAST favourite exercise & why? If I write my worst Aaron will just add more into sessions, but honestly I remember the prowler was so hard at first I’d even fall to my knees trying to do it but now I’m fine with it. I also dislike bicycles and squat thrust but I’m so much better at them than I was. Everyone hates something but you just get better at it the more you persist. Would you recommend us to a friend and why?  Definitely, Ocean for me has an amazing atmosphere created by all involved. You always feel welcome, no body comes across as being above anyone, which you don’t often find in a gym. Ocean has a way of taking what is seen as hard work and making it almost enjoyable. I look forward to every session. Whats your favourite thing to cook? I love cooking and have many favourites but I have recently discovered Ramen bowls they are tasty, quick and good for protein. For me it’s my calm, me time, my escape, my sanity. Any additional comments – memories, funny moments etc. Almost killing myself a week or so ago keeping up with Aaron during a fit camp lead Brianne was fun. I loved when I we did beach camp and Aaron arranged a pumpkin workout as a Halloween special, I also enjoyed taking part in the two hour fit camp session in aid of the RNLI which in my head I thought 1 it wouldn’t actually be 2 hours (it was) and 2 I wouldn’t make it to the end (I did). Also it always amuses me when either Aaron or Brianne say the will knock time off the next round sounding all generous, when in fact it’s 5 seconds 🤣 but I’m always satisfied I make it to the end. Well done Katie. A valued member of our team! 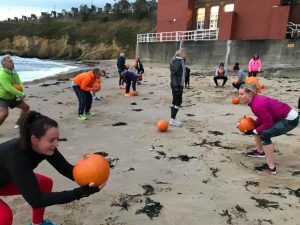 If you would like more information on any of our programmes – Including our Beach Camp and Indoor Fit Camp please don’t hesitate to contact us. 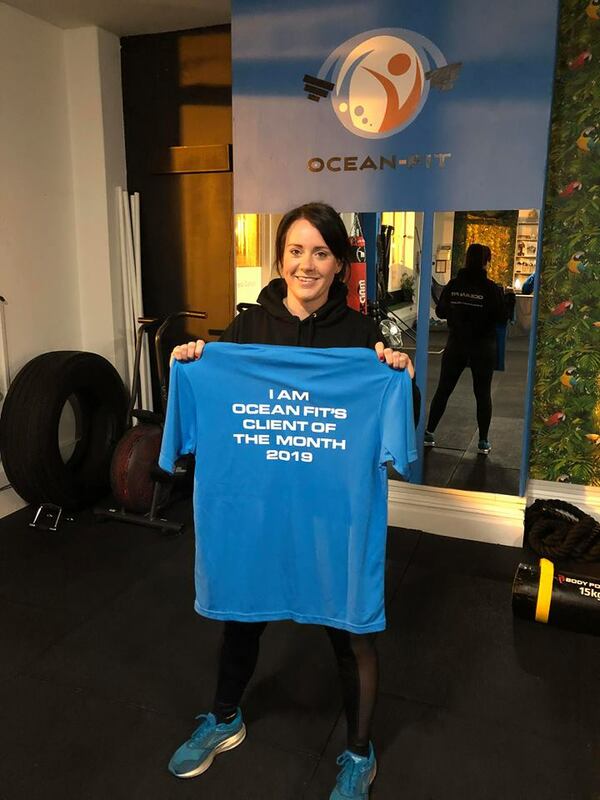 September – CLIENT OF THE MONTH – GEMMA!! 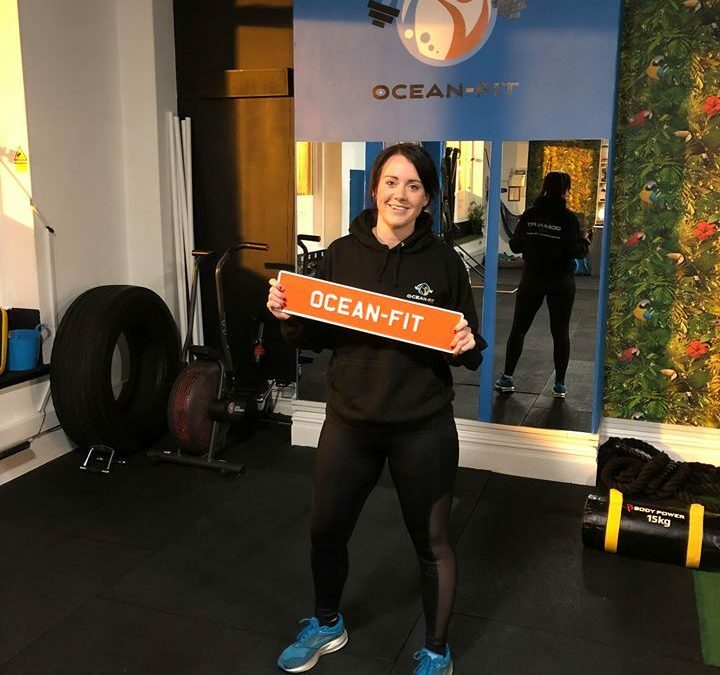 Jacqui – Our March Client of the Month! 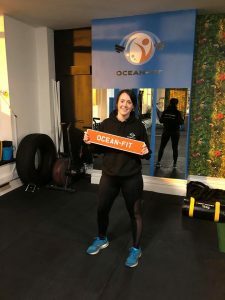 Our Group Personal Training Programmes longest serving member!